The Child and Family Development major prepares individuals to work with infants, toddlers, preschoolers, school-age children, and their families in a variety of settings. Students explore relationships among children, families and their environment and culture with the goal of improving quality of life within communities and society at large. 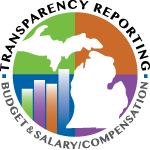 This program meets State of Michigan requirements for childcare center directors. It is not meant to provide Michigan Teacher Certification. The Child and Family Development major includes knowledge about human growth and development; parent education; family dynamics; societal factors that influence family life; human sexuality; interpersonal relationships; family resource management; family law and public policy; and ethics. Students graduate with a solid understanding and knowledge of how to teach and /or develop curriculum for what are often sensitive and personal issues. Graduates of this program are eligible to be granted provisional status as a Certified Family Life Educator (CFLE) by the National Council on Family Relations. Graduates with this major hold positions such as parent educators, child life specialists, and early childhood educators in school readiness programs, child development centers, youth and community programs, and alternate education settings. Classes in this major are available in three formats: Online (students complete all classes online), Hybrid (mix of online and on-campus methods), or Face-to-face (all classes at the main campus). Grade of “C” or better is required in Core Family Science Courses. Grade of “C” or better is required in Child and Family Development Courses. As needed for graduation total of 122 hours.